They look a little like leaves on a CCTV tree. While this does happen, it is uncommon. Lower installation cost: Instead of running cabling to 4 different locations, just a single run is required. Dedicated coverage: Instead of a PTZ that only looks at one spot at a time, you get dedicated coverage of a 360 area. 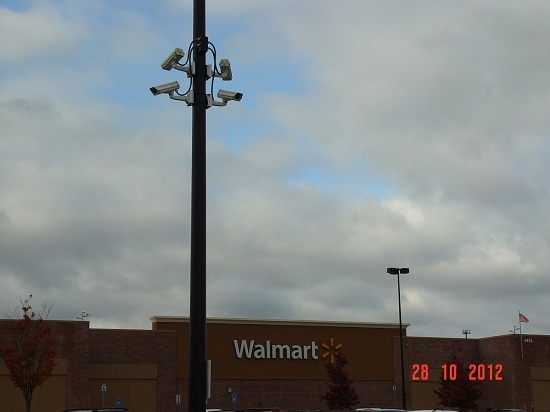 Deterrent effect: It is hard for people to miss 4 cameras on a pole. Worse Angles: Because the cameras are all mounted on a single spot, the angles of incidents to people and cars may be worse than putting them at different locations aimed directly at key traffic flows. Expensive product cost: 4 cameras with 4 outdoor housings, VMS licenses, etc. is costly. Perhaps a panoramic would be better in such a location, it certainly would be much less expensive. Aesthetic problems: It is so overt that it could make people uncomfortable or unsafe. I am genuinely curious to hear from those who are using these in real deployments. Any feedback?